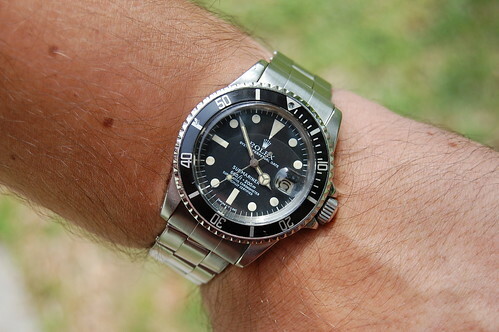 Here's the white 1680 I had earlier this year. Circa 1978. 1967 (1,7 mil serial) 1665 + 1978 (5,8 mil serial) 1665 "rail dial"
2 beauties right there Clyde. 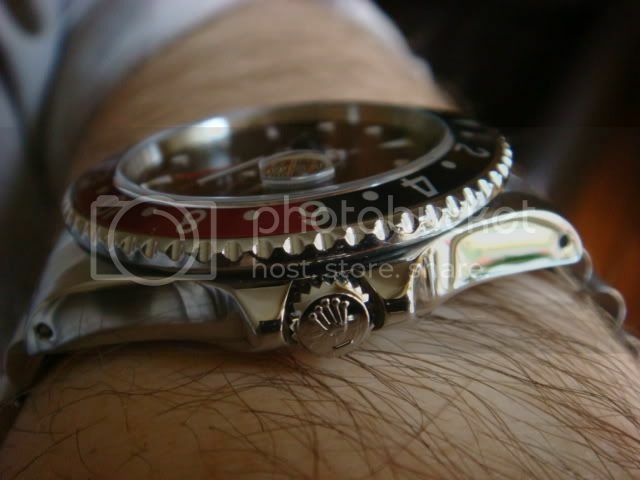 Ryan welcome to TKF, your photography and watches are superb, beautiful. I'm glad you decided to share that DRSD. That's just to good to keep to yourself. IIRC that's the first one we have here on TKF. Congrats! All 3 really look like they just left the AD. 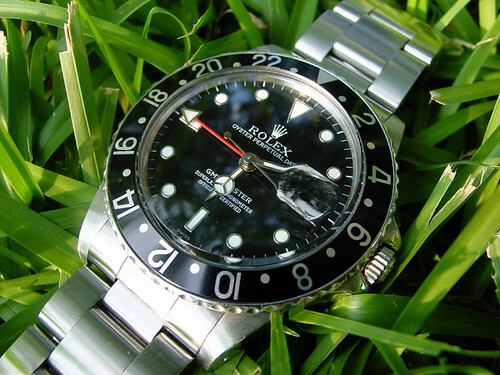 Unbelievably clean watches. That DRSD is vibrant. Most of them seem to have faded quite considerably over the years. And then there's that meters first Sub. Easily the best example I have seen. BTW Ryan, what sort of crystal is on your red sub? Looks slightly domed towards the edges? I recall they had one with a vertical edge, slightly beveled, slightly more beveled(like mine). Did the meters first subs have another style as well? YES, I need a tan! :dummy: but the pic was taken during the winter. Thanks, Pete. 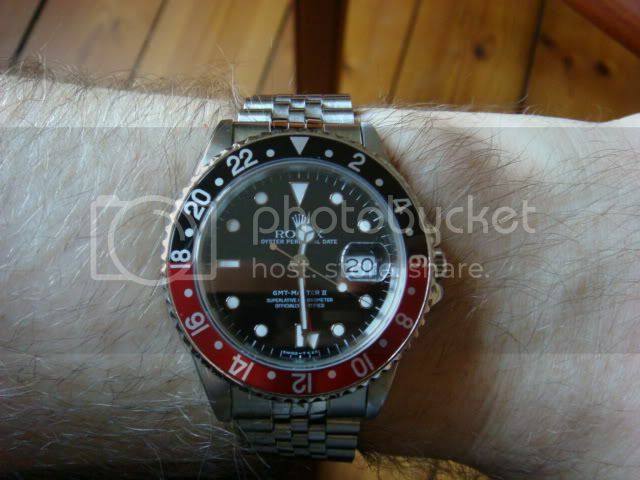 The GMT is in nice shape for its age, but not too nice I'm afraid to wear it. It's perfect for me in other words. Ryan, got to agree with everyone else and say those are some stunning watches! Looking good, guys. Keep posting. Here is a picture with the original plexi on. Not very easy to see, but you can get an idea of the rounded edges. Yep, I can see the rounded edge perfectly. I think that's caused from the crystal being polished over the years. 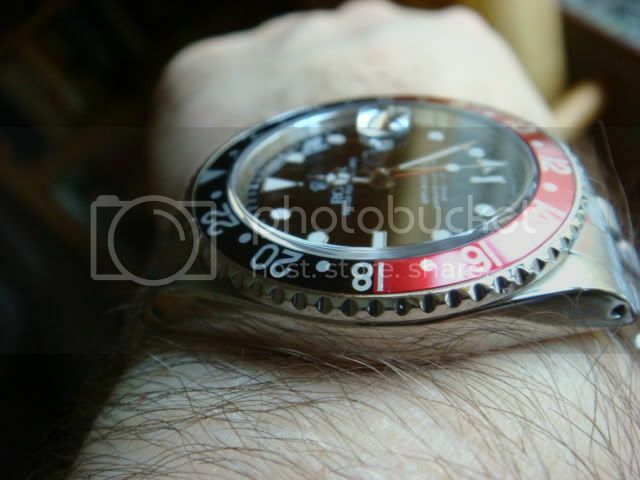 The crystal that came on my 1680 was like that. Real beauties. 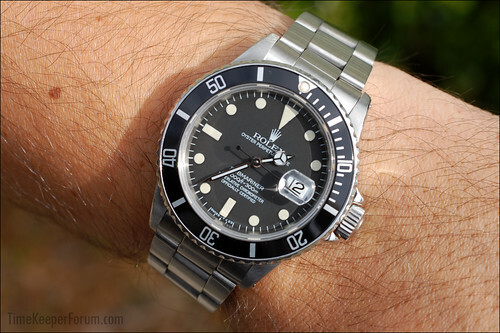 I had never heard of the all blue bezel insert for military 1675s until fairly recently when I was reading up on everything I could about them. Too cool. Hi Ryan! Welcome to TKF! Beautiful watches and very rare indeed! I love your collection!